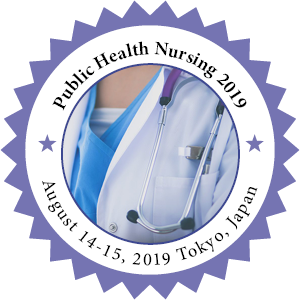 Community health nursing, a field of nursing that is a blend of primary health care and nursing practice with public health nursing. The community health nurse conducts a continuing and comprehensive practice that is preventive, curative, and rehabilitative. The philosophy of care is based on the belief that care directed to the individual, the family, and the group contributes to the health care of the population as a whole. 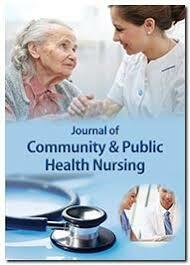 The community health nurse is not restricted to the care of a particular age or diagnostic group. Family Nursing is "The practical science of preventative and remedial support to the family in order to help the family system unit independently and autonomously maintain and improve its family functions. Family nursing is directed to improving the potential health of a family or any of its members by assessing individual and family health needs and strengths, by identifying problems influencing the health care of the family as a whole and those influencing the individual members, by using family resources, by teaching and counselling, and by evaluating progress toward stated goals. A Transcultural Nurse helps patients by providing culturally sensitive care to patients all over the world. They treat patients of different cultures, often immigrants and refugees. They work in foreign countries mostly, but also right here in our own cities, applying their knowledge of diverse cultures to their local nursing position. Occupational health nursing is the specialty practice that provides for and delivers health and safety programs and services to workers, worker populations, and community groups. The practice focuses on promotion and restoration of health, prevention of illness and injury, and protection from work-related and environmental hazards. Occupational health nurses (OHNs) have a combined knowledge of health and business that they blend with healthcare expertise to balance the requirement for a safe and healthful work environment with a “healthy” bottom line. The field of Oncology Nursing, in particular, is probably one of the most challenging and rewarding fields in nursing. For those with cancer, oncology nurses are the ones who are there for us during our most difficult and intimate moments in life, the ones at our bedside, educating us, encouraging us. It is often said that nurses are the heart of health care. Legal Nursing is the implicative intimations of nursing practice are attached to licensure, state and government laws, extent of practice and an open prospect that attendants hone at a high expert standard. The medical attendant's illumination, permit and nursing standard give the system by which attendants are relied upon to practice. Moral issues in legal nursing are fundamentally six moral rules that emerge often for the attendant who meets expectations in the remedial setting 1. Concession for persons (self-rule and self-determination) 2. Beneficence (doing great) 3. Nonmaleficence (dodging mischief) 4. Value (reasonableness, evenhandedness, veracity), 5. Veracity (coming clean) 6. Constancy (staying steadfast to one's dedication).